Microsoft has changed the way users terminate apps in Windows 8.1. This was an unannounced change, and unless you have issues with a Windows app, chances are you’ll never really need to terminate apps in Windows 8.1. We’ll still show you with this guide. There are several reasons why you may need to close apps in Windows 8.1. If an app hangs, fails to load or just freezes up too often, you’ll need to close the app entirely and reboot it, so to speak. Whether you’ve upgraded to Windows 8.1 or installed it separately, you’ll need to know how to terminate apps as you work your way through the preview. 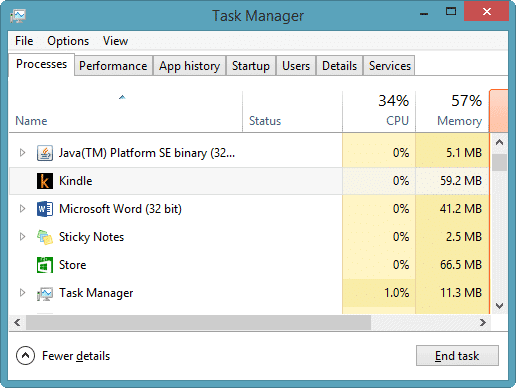 In Windows 8, you have four ways to close apps besides going to the Task Manager and manually ending an app process. In any open app, you can hover your mouse at the top of it until a hand appears. Left-click the top of the app, then drag it to the bottom right-hand corner of your screen. The Snap feature will kick in, but as long as you drop the app in the right-hand corner, it’ll close the app. You could also open the Charms Bar, and use the Close option available in most Windows 8 apps. In Windows 8.1, however, neither method works. The Close option is no longer visible in the Charms Bar. You can still drag and drop an app to close, but it merely closes the app on your screen and not in the background processes. This allows a Windows 8 app to quickly open again as opposed to having to “boot up” from being closed completely. The third way is through the Task Manager which we’ll outline below. The fourth, and final way, is to use the “ALT F4” command when in an open app you want to close. Like Windows 8, you have three options in 8.1 to close your apps completely. Backend performance tweaks to Windows 8.1 have improved how memory management takes place with apps, especially when running multiple apps. Unless you’re running a barebones computer at the minimum specs required to utilize Windows 8.1, you shouldn’t have to terminate apps at all. But you never know when something comes up, such as an idling app or a frozen app. If this occurs to you, these three methods will ensure your apps are closed in Windows 8.1. Click on the app giving you an issue and either click “End task” at the bottom right-hand corner of the Task Manager or right-click the app and click “End task” from the context menu. The second method follows the same steps as in Windows 8 where you drag and drop the app in the bottom right-hand corner of the screen. Once there, you need to hold the app in place until the startup logo appears. This takes about two to three seconds to occur. When it appears, release your mouse and a few seconds later the app will be entirely terminated. You’ll find that it no longer exists in the Task Manager if you check. The final method is the ALT F4 trick. 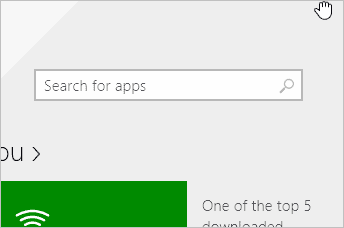 Make sure the Windows 8.1 app is open and in focus, then click “ALT + F4” to close the app altogether. 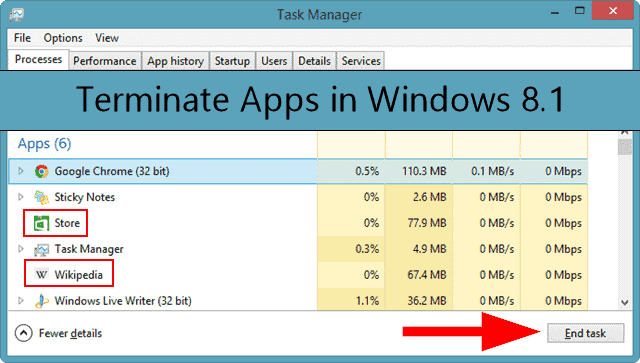 If you open the Task Manager, you’ll see these steps have terminated the apps in question without hesitation. This should be the last ditch method you take to close apps in Windows 8.1. You won’t be able to save data and you may cause issues with sync by forcing an app to close in this manner. With the other methods above, your data is actually saved before the app is fully terminating. The Windows 8.1 Pro Preview forums are filled with users inquiring about these changes. Since Microsoft didn’t announce the change, many Windows 8 users who upgraded or installed the preview believe this is an issue when it’s not. We’ll keep an eye out for any issues with terminating apps in Windows 8.1 and report the fixes when we find them. While we may not know the reasons why Microsoft made these changes, knowing how to terminate apps in Windows 8.1 is essential when testing out the preview. You never know what issues you may have, especially with the new Bing apps. If your apps in Windows 8.1 hang, freeze altogether or don’t open at all, you may need to terminate the app to get it to work. Let us know if you have issues with closing apps, or just apps in general, in the Windows 8.1 Pro Preview. Please Note: Remember that Windows 8.1 is still in its preview phase. You may encounter issues here and there, especially when it comes to apps and performance. Detail what happened for you, what apps you were using and what steps you took to try and terminate it. We’ll take it from there and try to help you pinpoint the issue with terminating the app in Windows 8.1.